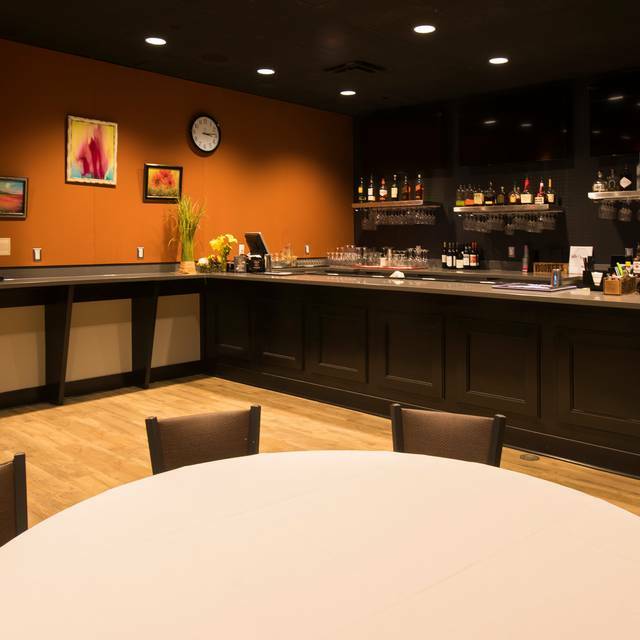 You must make reservations at least 5 minutes in advance of the time at Tonic Bar and Grille. There is parking located at the Community Service Parking Garage but we do not currently validate. /tänik/ Adjective 1. Providing a feeling of vigor or well-being; invigorating. 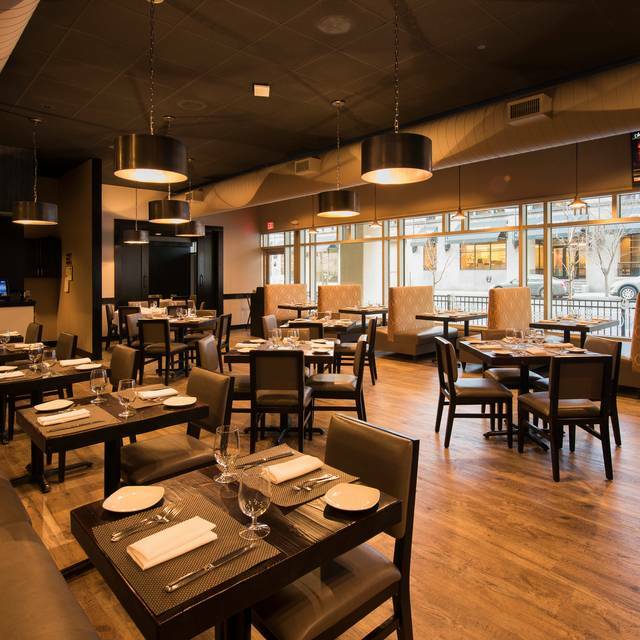 Tonic Bar and Grille is downtown Wilmington's hottest destination for creative cuisine, including some of the best steaks in the area. 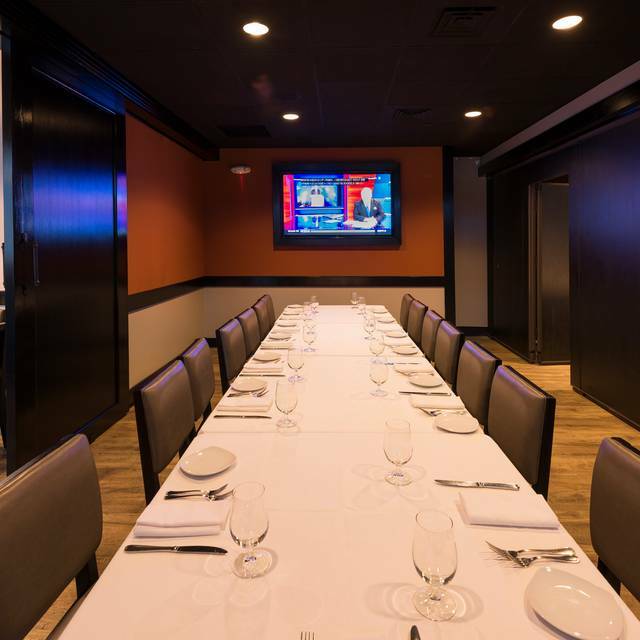 Multiple private dining areas make it perfect for all entertaining needs. The bar encircled with flat screens is always happening. 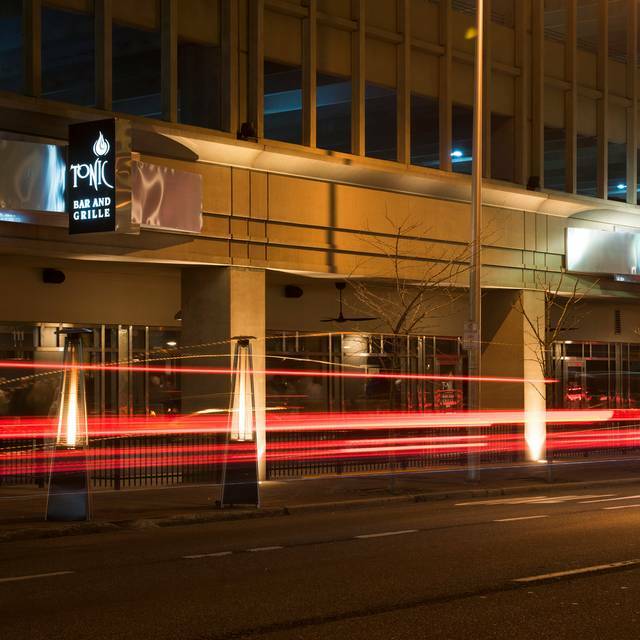 Whether you are joining us for the city’s most talked about Happy Hour or your favorite sporting event, we want each guest to have a feeling of “Tonic”. We are building lasting relationships with our guests by serving excellence. 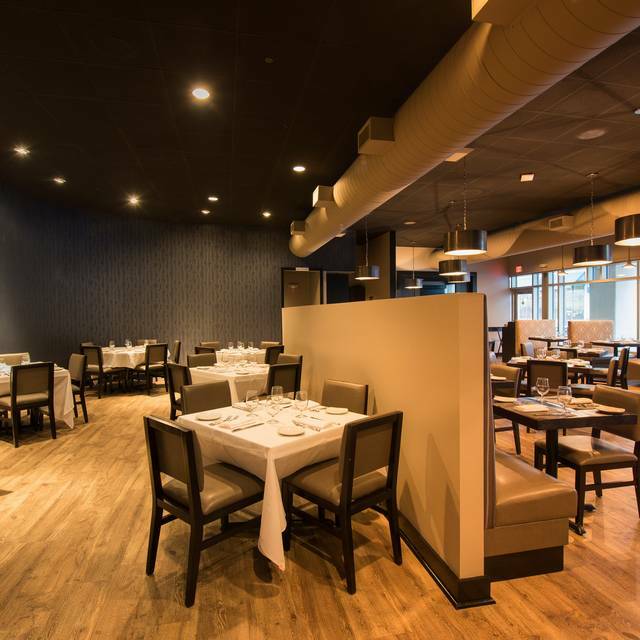 We look forward to welcoming you into our restaurant and sharing our experience with you! Yes, but not for the crab cakes. I had them there once before and they were so good. This time they were just "okay". Did not have lump crab meat. Mostly shredded, too much filler. Little flavor. Presentation of food was fantastic. Great service from our server. Front desk host was not very attentive and I had to wait extensively while others were sat ahead of me (the rationale was they had reservations, but I also arrived before them and said I was ok with sitting in the non-reserved area). I waited for 15-20 minutes without getting a table. Food was just ok - had lobster balls (mushy without much flavor), mushroom with pasta (delicious), and a dessert (eh). My boyfriend had wings (flavorful), and steak that had no flavor (salt or otherwise). Cool ambiance, beautiful venue, would maybe just try new dishes next time. Thank you for taking the time to share your experience, Newtoart! I will definitely reach out to the host who worked that evening, but I can assume that the 15-20 minute was due to Friday being a show night. 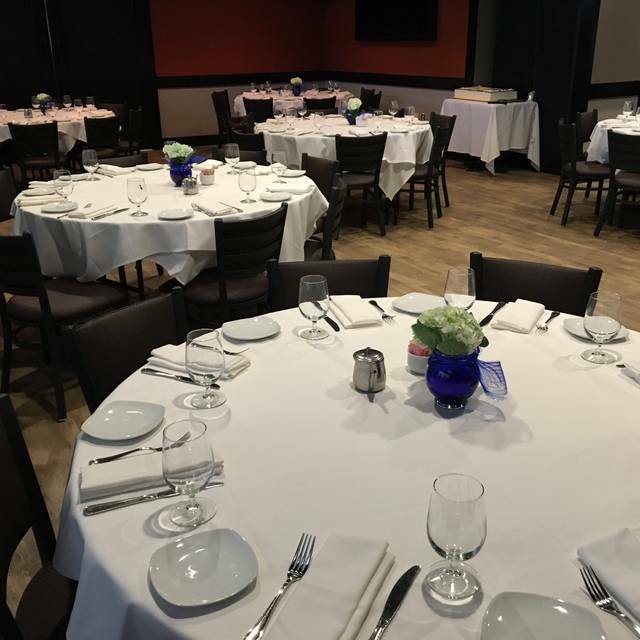 We typically get booked & cannot guarantee seating without a reservation. However, we always do our best to accommodate every guest so I am happy we were able to seat you! I also hope you return to try another dish that is more to your liking. Thanks again! Food was great...Waitress was not very pleasant nor attentive. Best steaks in New Castle County. Prepared perfectly. Everything else delicious as well. Staff attentive and efficient. Overall experience was ok, food not worth the price fir what they give you. I would not recommend this place due to having to pay for your own parking inpaking garage. The restaurant should validate parking!!! When I asked they said no sorry we never do that, so after spending a fortune on a mediocre dinner, then I had to pay an additional fee to park. Not worth it!!! Amyz, I apologize that our food did not live up to your expectations. Our Chef does his best to use the freshest ingredients to prepare creative dishes that reach a large audience. As for parking, it is free on the streets after 6:30pm in the City of Wilmington Mon-Sat, free on Sundays. Although we are conveniently located around the corner from the parking garage, we have not been able to validate parking due to negotiations & apologize for the inconvenience. I do hope you visit again! Our waitress was attentive, food was good and prepared within an acceptable amount of time. The live band was good, but volume was a little too loud. Overall we had a great night. Food, service, etc. were as usual outstanding.My steak was perhaps the best I have had in years. Could nit ask for more. Some of the food weren't properly cooked. Steak was supposed to be medium rare, but was overcooked on the outside and undercooked on the inside. My wife had squash as a side dish and it wasn't sufficiently cooked. We noticed that a man at the table next to us returned his steak to the kitchen. This used to be a great place to eat, so the meal was dissapointing. Hi PatR, Thank you so much for the review! I am happy to read that you enjoyed your dining experience with us & found the filet special to be worth your trip. I personally never leave without one on a Saturday evening! Hope to see you again soon. We met friends we hadn't seen in a long time. The place is nice, clean and incredibly easy to get to. Parking is ideal. Our waitress was very nice and quick. The food was ok. I expected a lot more for the prices. The appetizers were dry(poor pork belly) or cold. My husband ordered the ribeye with lobster tail. The seasoning on the ribeye was all over the place. One bite was bland and the next bite packed with salt (I had the ribeye too). The lobster tail had NO seasoning and NO butter. How do you serve lobster tail without butter? Two of us got the molten cake for dessert. Mine looked like someone took a chunk out of it. It was half a cake. The other one was perfect. Really could have used some ice cream or something. By 10 the dining room was empty and the wait staff were all congregated near our table giving us dirty looks to leave. They were constantly walking by our table over and over again even though they weren't doing anything. The hostility was very apparent and it became very uncomfortable so we took off. Probably won't be back. No one serves ribeye anymore so I was so looking forward to it. It was a bummer. ShannonN, Thanks for taking the time to share your feedback, as it allows us to continuously improve. I was present Friday evening & I sincerely wish this was brought to my attention so I could have tried to mend the problem. We pride ourselves on our steaks & level of service, so I am sorry to read that you left disappointed. I will certainly bring this to the servers' & chef's attentions. I do hope you give us another try & if so, please ask for Yassmin! I was pleased we could park in the Courtyard Lot with entrance in the block before on 11th. Cost $5 for dinner time. I felt some of the food was a bit expensive. $34.50 for a small filet. And it was pretty loud in there with low ceiling. But people were pleasant and pretty efficient. Hi JamesR, We understand parking in the city can be somewhat of a hassle, so we try to work with the parking garage in order to make it accommodating for our guests! I believe the filet you are referring to is the 8oz. The cut we use is of high quality that brings the menu price to $34.50. 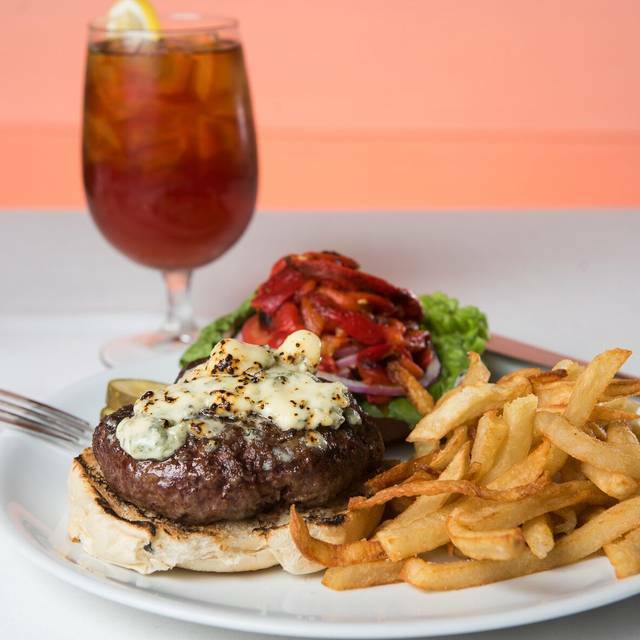 If you visit us on a Saturday, you can order that same filet for a discounted price of $24! Hope to see you again soon. Thanks so much! The entire evening was outstanding! From the atmosphere, to the service, to the food, we had a great time at Tonic and would definitely recommend it for any occasion. 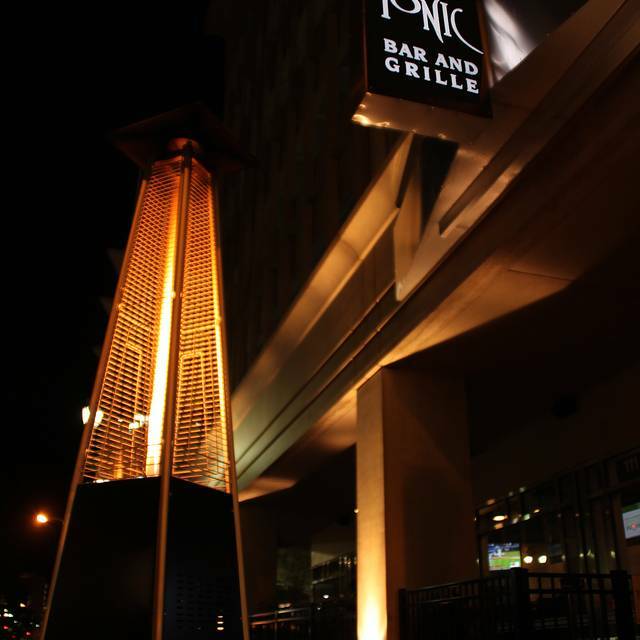 We enjoyed having dinner at Tonic Bar and Grille. The food was good. The service was good. And our overall experience was a happy one. Great experience before the show! The food was delicious and the service was good. We had to ask for the pre theater menu which had a nice selection. The problem came when it was time to pay the check. A number of tables were checking out at the same time. There seemed to be only one computer for the staff to use to check out which caused some delays. We were almost late for the opening curtain. Surely there must be a better way. Hi Trish, Thanks for taking the time to express your concerns, as it allows us to constantly grow. I also want to thank you for joining us before the show- our Chef creates the pre-theater menu in order for guests to enjoy a 3-coure meal in a timely manner. I apologize that there was a hold up when trying to pay. We do have more than 1 computer system, so I will definitely remind the staff to use their time efficiently on show nights! We hope to see you again soon. good food and a good place to stop before a show at the Grand. Food was good. But, we had a long wait for our entrees to arrive at the table after ordering. The waitress was very nice and apologized a couple times about the wait. Also, I was a little surprised at the price of our entrees. The bar scene was very nice. The live music was great. A duo, an acoustic guitar player with a female singer. They had an extensive catalog with good arrangements. Very enjoyable. We dined as two couples on Saturday evening. The restaurant only had two or three tables occupied. The servers were very friendly and quick. However, the food was fair, at best. Two of us had the Impossible (Vegan) Meatloaf. Both people thought it was pretty bad and had a funky taste. Two had steak (one had Filet Mignon and one had a Steak Salad). The steaks were good. The French Onion Soup and Acorn Squash appetizers were good, but the Thai Peanut Soup was too spicy. The wines were very good. The prices are definitley overpriced for the quality and quantity of food. There was also a mistake on one couple's bill-charged for two of the same item which was quickly corrected. Based on the almost empty restaurant on a Saturday evening, I guess we are not the only dissatisfied customers. This was our first and last visit. I dined at Tonic early on New Years Eve. Overall, it was pleasant. Our server was attentive and the atmosphere was somewhat nice. The price of the food did not match the quality. It was okay, but I would not rave about it. Good location if you are staying in the city. Parking garage is convenient and close. Appetizers were much better than the entrees. We are so glad to hear that you and your party had a great time! Thank you for sharing your thoughts with us! Have a very Happy New Year! Wilmington doesn't have a lot of good vegetarian food. We appreciate the changing and creative vegetarian options at Tonic. Ivy1, We are so happy to hear that you enjoy our vegetarian options! Thanks so much for taking the time to show your appreciation. We look forward to seeing you again soon! Warmest, Melissa C.
Food was great. Had a bit of a service problem after our main meal when we were ready to order desserts. Waiter had gotten vectored off to a large party and we couldnt get anyone’s attention. When we did, they made it right.... but it took about 15 minutes before we could get someone’s attention. They were very apologetic. Hi Aggie! Thank you so much for taking the time to share your experience with us. We apologize again for the lapse of time between finishing you entrees and ordering desserts. Thank you for your patience and understanding, as it is uncharacteristic of us. We are so happy to hear that you enjoyed your meals and we hope to see you back again! Warmest, Melissa C.
My family & I had dinner before a show at "The Playhouse". My son is vegan & had the cauliflower steak, his comment was the food was "outstanding" . We had great service in a timely manner. "Tonic" has a warm cozy feel that's great for conversation. There was music in the background but not at anytime was it hard to hear one another. Can't say enough good about the place. Great food, reasonable price & nice atmosphere. Michelle our service was awesome! We went pre-theatre on Saturday afternoon. Food came out quickly and we lingered for awhile. Refills on iced tea was a plus. Really enjoyed the fries! First time there. Came to try a new place for hubby's birthday. Enjoyed everything... food, atmosphere, music, food (especially) and great service from Michele. Hi there! Thank you for taking the time to share your experience with us. Typically the coupon is presented when the check is dropped. I apologize if we missed the discount, as we are big supporters of our Wilmington Theaters and it's theatergoers. We will be sure to apply your discount at your next visit! Warmest, Melissa C.
A very cool place to dine in the city. Decent options from menu. Excellent Saturday night special on filet mignon and it was delicious. So were the short rib egg rolls. Wines by the glass were nice and service was attentive. There were two couples and an additional friend and we all got the filet mignons. OMG, when it’s said that something melts in your mouth, it was these filets! We all ate every single bite and I would order it again and again when I go back. I asked that my red wine be delivered with dinner; it was not. I ordered an 8 oz. filet with mashed potatoes and green beans; the green beans were delivered, but it took 5 minutes to get the potatoes. The filet was the ugliest piece of beef I've ever seen from an upscale restaurant. It was greyish/brown all over, with no grille marks at all. Just a real cool place to dine whether lunch or dinner. 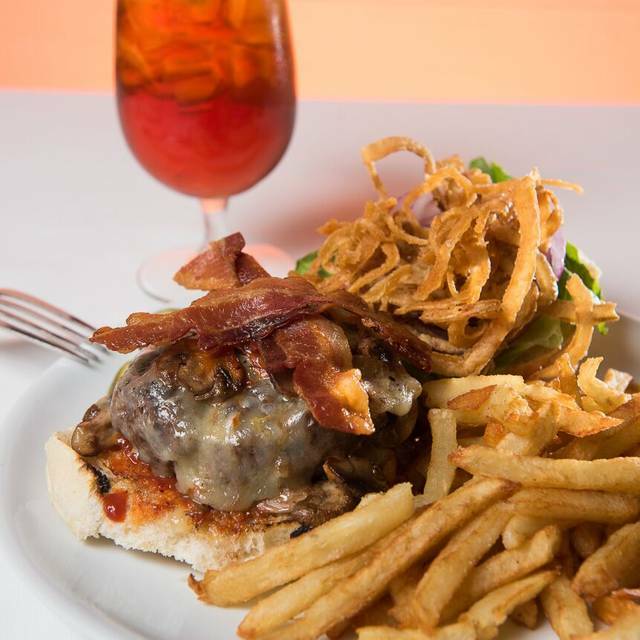 The food and service at Tonic Bar and Grille are excellent! Food is attractively presented. They make it a point to offer selections for vegetarians, vegans and gluten intolerant diners. The staff members are courteous and helpful. Thanks, Tonic, for another great Sunday brunch -- Eggs Benedict and Mimosas. I'm a repeat customer of tonic and on this particular occasion I visited the restaurant for Restaurant Week. Service was slow and the entree was bland. Very unlike tonic, so I will definitely go back although I'm very disappointed in this visit. My steakhouse salad was very good, but not great. Hubby's crab cakes were a little small; tasted good, but not great; came with tarter sauce, couscous and fresh green beans. We shared the steak rolls for our appetizer. They were yummy, but quite pricy for what you got, just two. We didn't get dessert. Our server was very attentive, though at 8:30pm on a Wednesday evening, there weren't many in the restaurant. My $7.50 glass of Merlot wound up being $8.00 on the bill. Parking is around the corner in the building parking garage, but the restaurant doesn't validate. Overall, our experience was positive, but there are so many restaurants to try, we'll not likely be back at least for a long while. A great meal, excellent taste, wonderful presentation! Saturday night tenderloin special definitely worth a night out!